Nuclear science is the branch of science which deals with the study of atoms and nucleus of an atom. It is a field of science which has developed a lot in the past years bringing out the multiple benefits of nuclear technology which would be helpful for the mankind. The credit of developing the nuclear technology goes to various scientists from around the world. In India, nuclear science gained importance due to various great scientists, Raja Ramanna being one among them. 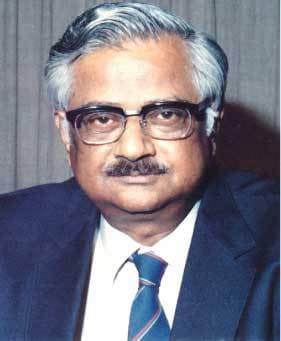 Raja Ramanna was the founder of the nuclear program in India. He was not only a nuclear scientist and physicist, but also a musician, administrator, literature scholar and a philosophy researcher. He was one of the most important person because of whom India’s peaceful explosion experiment was successful. Looking at the life history of Raja Ramanna, he was born on 25th January, 1925 in a place called Tumkur in Karnataka. The family of Ramanna was a privileged one. B. Ramanna, his father was a judge in Mysore and his mother, Rukminiamma was an intelligent lady. The good and educated family background was one behind the upbringing of Raja Ramanna as a complete human being. Ramanna started his primary education in Mysore. But later he joined Bishop Cotton Boys’ School in Bangalore. After his matriculation, Raja Ramanna went to St. Joseph School for his intermediate studies. Ramanna got his bachelor’s degree in science with physics honours from Madras Christian College, Tambaram. There he also learnt classical music as he was very interested in it. In 1949, Raja Ramanna obtained his PhD degree in nuclear physics from King’s College, London. While his stay in London, Raja Ramanna came in contact with Homi Jehangir Bhabha. He had a great influence on Ramanna and thus after returning to India, Raja Ramanna joined Tata Institute of Fundamental Research. He started his research on scattering and nuclear fission and fusion reactions. Ramanna started working with Bhabha Atomic Research Centre and there he made the biggest achievement of his life. In 1967, he started working on inventing a nuclear device. His hard work was fruitful when in 1974 his first nuclear test at Pokhran, Rajasthan was successful. The test was nicknamed as Operation Smiling Buddha. Ramanna was given the position of Director in Bhabha Atomic Research Centre (BARC). This was not the only achievement of Ramanna. This great scientist has done many more contributions to the development of nation. He was one of the co-founders of Centre of Advance Technology, Indore and Variable Energy Cyclotron Centre (VEC), Kolkata. Ramanna served various other science institutions like The Director General of International Atomic Energy Agency as a Scientific Advisor Committee, as Vice President of Indian Academy of Sciences, as the President of 30th General Conference of the International Atomic Energy Agency, etc. Raja Ramanna was a great scientist. He was a brainiac. The achievements of Ramanna were honoured by various awards and recognitions. He was nominated as the member of Rajya Sabha in 1997. In 1963, Raja Ramanna was awarded with Shanti Swarup Bhatnagar Prize for Science and Technology. He also got Padma Shri in 1968 Padma Bhushan in 1973 and Padma Vibhushan in 1975. Raja Ramanna died in the year 2004 due to cardiac arrest. In his life span, he has helped a lot to the world of science. The contributions of Raja Ramanna are so remarkable that the title of ‘The Father of Nuclear Program’ is suitable only for him!